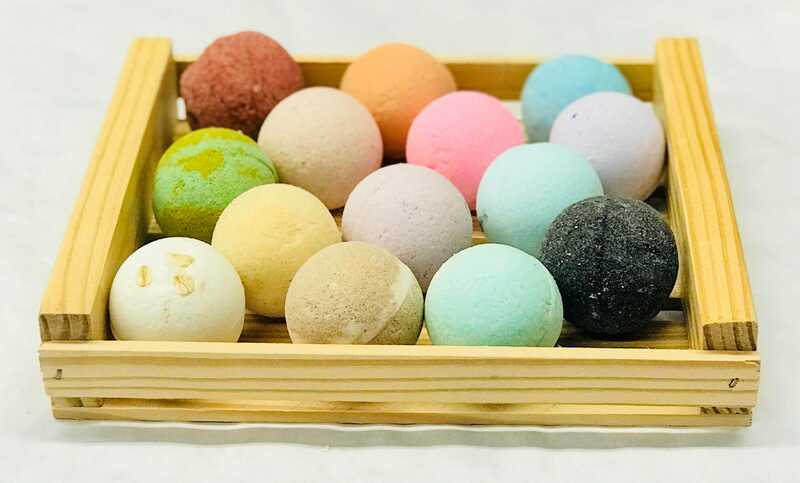 Scroll down to see your possible scents. 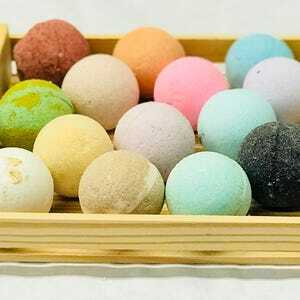 The bath bomb ingredients are: Organic Shea Butter, Vitamin E Oil 400, Baking Soda (NaHCO3), Citric Acid (C6H8O7), Epsom Salt, Olive Oil, Premium Salt, Essential Oil, and cosmetic grade coloring. 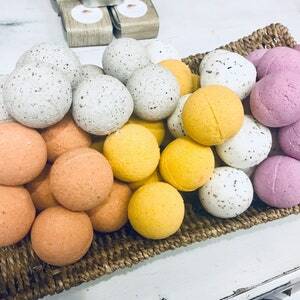 *New Scents may not have been listed but are constantly being added to our bath bomb inventory. You may receive a new scent not on the list. Color and style may vary.